There are so many things to love about this pretty spring wedding! A beautiful couple (who have the sweetest little boy). A gorgeous, springy color palette and a theme with a fun, special meaning. AMAZING florals. The prettiest bridal hair ever. An unforgettable cake... I could go on and on! Manda Standridge from Photos by Manda did such a beautiful job on this sweet couple's photos. This wedding will be one of your favorites of 2017 so far! Danielle and Bart were married at The Barn at Twin Oaks Ranch on May 6, 2017. Their colors were mint and coral, and their theme was a tribute to a place where they've spent a lot of time together... we LOVE it when our couples choose details or a theme that tells their story! "I love all the wildflowers and succulents that grow in my favorite place, Morro Bay, California," she said. Their theme was what Danielle called "spring flowers." It was gorgeous! Since the theme revolved around the beautiful flowers and succulents in Morro Bay, it was extremely important that our team do an incredible job on the bouquets and florals. And I'd say they nailed it! In fact, Danielle said they were one of her favorite details of her wedding day. "I absolutely loved the bouquets!!!" Danielle said. "The peonies and succulents were so pretty!! Peonies are my favorite and they were stunning!!" These bouquets will be on countless Pinterest wedding boards in no time! Bouquet goals right here, y'all. I'm loving the flowing ribbons! Danielle's bridal look was one for the books! Her bridal gown, from A Formal Occasion in Georgia, was timeless and stunning. I love the neckline, the train, the back, the lace, all the little details... this dress is perfect! We always love a bride with flowers in her hair, but this creative bride chose something different than the typical floral crown... She wore her hair in a braid, which was accented with beautiful, colorful flowers, and she looked GORGEOUS. I absolutely love this look! Danielle, you couldn't have been a lovelier bride! The bridesmaids wore fun, flirty mint dresses from David's Bridal. I love the bridesmaids' different necklines and how their coral and pink bouquets really pop against the mint! The groom wore a light gray suit with a bow tie, and the groomsmen wore gray slacks, white shirts, gray bow ties and black suspenders. LOVE this look so much. Prettiest bridal party everrrrr. We're big fans of the first look, but not just the bride and groom kind! Danielle had a first look with her bridesmaids AND with her dad. What a lucky lady! Danielle and Bart chose not to see each other before their ceremony, but they spent a few private moments together while Bart was blindfolded. This is such a great way for couples to get their nerves out without breaking tradition! And it makes for really sweet photos! Ohhh, this ceremony was so pretty. Their altar was very boho, with lots of greenery and hanging flowers. At the beginning of their aisle, they had whiskey barrels topped with florals. Their aisle was lined with greenery and single peonies placed right on the ground. I don't believe we've ever done this look before, and it's BEAUTIFUL. One of Danielle's favorite details of the day was the wine box they used for their unity ceremony. "Bart proposed at a winery, so it was fitting!" she said. Her other favorite ceremony memory involved their ceremony music. Oh, and THIS GROOM! We can't handle the sweetness. I'm a sucker for post-ceremony portraits, and these are so so soooo romantic and sweet and perfect! How cute is their little guy?! Of course Danielle and Bart's reception was as fabulous as the rest of their wedding! I loveeee their mint table cloths, elegant place settings with gold details, bright peony arrangements, and that fun pink backdrop behind their sweetheart table. Let's talk about this cake! OMG! We've been swooning over the geode wedding cake trend for a longggg time, and this one was unforgettable! Another fun reception detail was the favors: "We had a popcorn bar so guests could grab a bag for the ride home," Danielle said. Cute! There were countless sweet moments during Danielle and Bart's reception, including the first dance they shared with their adorable little guy, and the dances they shared with their parents. There were toasts, great food, and then a fun dance party with their friends and family! It was the most perfect reception they could have imagined! Danielle and Bart have TWO amazing trips planned to celebrate the beginning of their marriage! They're going to Savannah, Georgia for a "pre-honeymoon" and then later this summer, they're going to Japan! 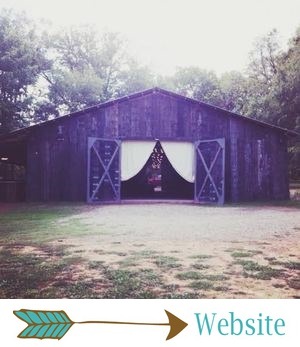 Danielle said her favorite thing about getting married at The Barn was that our team made her planning process “so easy and stress free.” Our team takes such great care of our couples and makes their day a piece of cake!